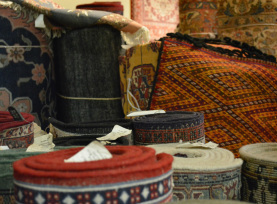 Welcome to Dr. Majid Paydar's guide to Persian rugs. On this site you will find invaluable information on buying, cleaning, and caring for Persian rugs. Besides owning and operating Paydar Oriental Rug Gallery from 1987-2014 in Memphis, TN, Dr. Paydar accumulated knowledge of Persian rugs through research and first-hand experiences with weavers in Iran.